Mutual fund investors reaped huge returns in 2017. Equity mutual funds were top gainers with S&P BSE Sensex achieving 29.84%, while S&P BSE Midcap and S&P BSE Smallcap gained 51% and 62%, respectively. Mutual funds have become the most popular investment vehicle for retail investors and corporate treasuries. The fact is corroborated by figures furnished in a joint study conducted by CRISIL and AMFI. The study stated that funds invested by retail investors in domestic mutual funds as of March 2017 stood at an astounding Rs 8.7 lakh crore. This is a phenomenal increase from a mere Rs 3.2 lakh crore about five years ago. Mutual fund investors reaped huge returns in 2017. Largecap equity funds gave a return of ~34%, while midcap and smallcap funds gave a retrun of ~46% and ~57% respectively. 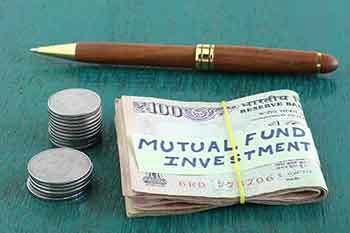 A large amount of investors have entered the mutual fund market owing to the following reasons. Mutual funds have time and again given good returns as compared to conventional investment options. With declining bank interest rates, and real estate and gold no longer being attractive, mutual funds present a superior investment option. In last three years, about 18% CAGR was earned by diversified equity funds, while 8.1% delivered by liquid funds, according to data obtained from CRISIL AMFI. Normally, individuals have no time or expertise for active portfolio management. Mutual funds are managed by professionals whose job is to invest wisely and offer high returns on your investment. Mutual funds offer you flexibility with regard to its redemption and amount of investment. You can start with an investment of Rs500 or more and increase your investments in the future. Facility of immediate redemption or debit card withdrawal is offered by some fund houses. Security and transparency of the funds is assured as they are closely monitored by the RBI and SEBI. Comparison between schemes is facilitated and investors can choose the one that suits their purpose and inclination the best. When you invest in mutual funds, you get access to a mix of varied stocks, which helps you to build a diversified investment portfolio. This reduces your exposure to a single asset class thus ensuring stability in your portfolio. Investing in mutual funds has been made very easy in today’s times. If you go into the online mode, then it is only a matter of a few clicks and you are done with your investment. Monitoring your fund can also be done online. When you go for SIP, you are disciplined to set aside some amounts of money that will go towards securing your future. In fact, SIPs have become one of the most popular investment options in today’s times. SIP allows you to reap the benefits of spreading your investment fund in a period of 12 years. This is explained through the following example. Say you invest Rs2,000 in gold per month for a year. Then, you would be getting the different quantity of gold each month. This is due to the fact that the gold price changes every day. This is also the case for mutual funds. Let’s look at what happens when you invest Rs2,000 for a year. The above table shows how a monthly SIP of Rs2,000 totalling annually to Rs24,000 helped to earn Rs27,365 at the end of the year. An SIP in a mutual fund can buy more when the NAV is less and buy less when the NAV is more. Thus, your money gets averaged out giving you chances of higher returns. Invest in mutual funds and see how your money multiplies many times over!